Aurous , a new music streaming service wants you to fall in love with BitTorrent all over again. 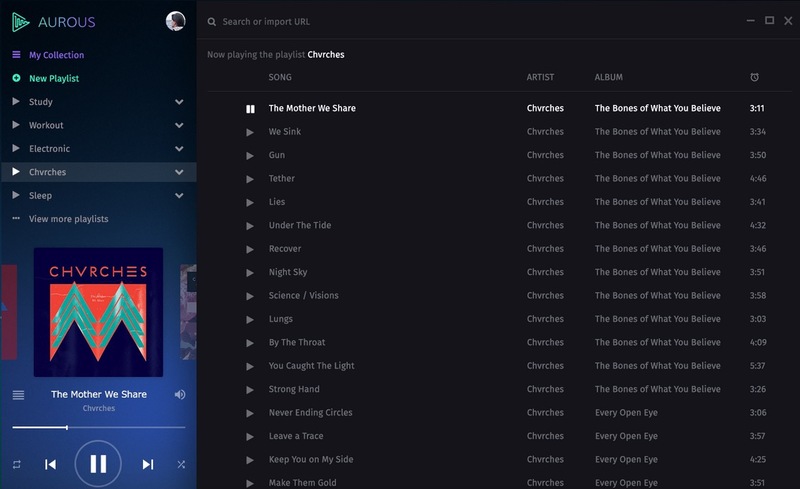 The desktop app, which was launched today on Windows, OSX and Linux is an interface that makes searching through the sea of legally hazy music files easier. Built by by Andrew Sampson and a developer going by the name ‘Dana’ in Miami, the pared down interface looks a lot like Spotify’s. The initial version allows users to search by artist, song title and album name, in much the same vein as fans of old mp3 download services like Limewire would do. However, instead of downloading a copy to your desktop, you simply stream the music, confounding the issue of legality. However, the project, which had originally started out as a crowdfunding campaign last month, was quickly closed and all backers refunded, suggesting it had run into legal trouble. But the developers remain confident. “Even if as a project, development stopped and we shut down our website, the app would still continue functioning without any problems,” developer Andrew Sampson promised in a statement. Beyond basic streaming, Aurous promises zero intrusive ads, a thinly veiled jibe at the free versions of streaming services like Spotify. You can even import your playlists from the likes of Pandora, YouTube and elsewhere straight into the app. Aurous also offers support for FLAC, WAV, OGG, OPUS and even WebA formats, making people’s libraries available online to others. It’s even customisable. The plugin API allows users to make tweaks to the interface, or even develop on top of the existing code. But while the popularity of Popcorn Time has been a consistent thorn in the side of the film industry, the music industry has found a way to convince many of us to pay for music. That’s largely down to the film industry’s insistence on geo-fencing and services like Netflix bloating their catalogues with B-movies and low quality versions of their films. Also, the impact on piracy to individual musicians pulls on the heartstrings far more than it ever would to a faceless studio, or the astronomical salaries of actors and actresses in Hollywood. Will Aurous be a runaway success, or has it come a little late in the day for illegal music?